What is your favorite cereal? There are hundreds of types of cereal, sweet, salted, whole-grain cereals, with food coloring, stuffed with chocolate, in different forms, there is simply no end to it. Cereal Day honors the invention of the brothers William and John Kellogg (the founders of Kelloggs) at the end of the 19th century who invented the Cornflakes by mistake . Corn was a major component of the Hopi diet, the natives of America. The erroneous invention of the Cornflakes brings us to the late 1890s, when an Adventist mission (Protestants who believe in the Second Coming of Jesus) began developing new foods to meet their vegetarian diet standards. The team members experimented with several types of cereals such as wheat, rice, barley and corn. In 1894, Dr. John Harvey Kellogg, who was in charge of the Seattle resort of Battle Creek, also an Adventist, used these recipes as part of the strict vegetarian diet that he had imposed on his patients, which also included alcohol, tobacco and caffeine. The idea of ​​cornflakes came up accidentally when Dr. Kellogg and his brother Will Keith Kellogg left wheat porridge in the oven, forgot about it and turned to their burning business at their convalescent home. When they returned two days later, they discovered that the porridge had dried and aged, but because they were very careful about their budget, they decided not to give it up and continue with its processing. They went over the dry dough with a rolling pin, hoping to reach the shape of long pages. To their surprise, what they were getting was flakes, which they ate and served to their patients. 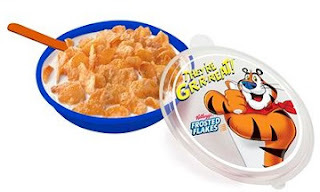 This event occurred on August 8, 1894, and the crushed cereal patent was registered on 31 May 1895. In 1906, they found investors and set up a company to make cornflakes that changed its name to Kellogs (known and successful cornflakes company until now) in 1922. 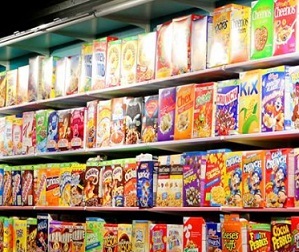 Millions of people around the world eat cereal for breakfast and some for dinner or a snack. Among all types of cereals there are actually healthy ones that contain whole grains, fiber and protein. All you need to do to celebrate the cereal day is to take a bowl, fill it with your favorite cereal, sit on the sofa with your legs up and eat it.